"Obduction. This is your story now." Cyan, the legendary studio of Myst and Riven fame in the 1990s, launched its new game Obduction for PC in August, after a successful Kickstarter campaign in 2013 and three years of development. Obduction is seen as a spiritual successor to Myst and Riven. "As you bask in the otherworldly beauty and explore through the enigmatic landscapes, remember that the choices you make will have substantial consequences." explained Cyan CEO Rand Miller in an interview with VentureBeat. Related reading: Hopefully the game is better than the 3DS version of Myst. Obduction will arrive for Sony PlayStation 4, PlayStation VR, and the HTC Vive VR headset in 2017. “We’re going all-in on VR,” said Rand Miller. “And the PlayStation breaks open our availability as a much broader platform for us. I [was] amazed at how good this looks on a console.” The game debuted on the Oculus Rift VR headset last week. Cyan has already begun work on adding support for hand controls and room scale. These controls will allow players to interact directly with objects in the world, including picking up and examining objects. Obduction uses the Unreal engine for special effects. It is available for PC and the Rift on Steam, the Oculus Store, GOG, and the Humble Store for the introductory price of $30. It is coming soon to Mac, Miller said. This new venture - as yet without name or release window - will be developed by a new MZ game studio. The MMO will combine the characters, storyline and soundtrack from Final Fantasy XV with Machine Zone’s technology and expertise with online massively multiplayer games and will feature a single, shared universe. Related reading: Why the Final Fantasy XV movie has us excited for the game later this month. 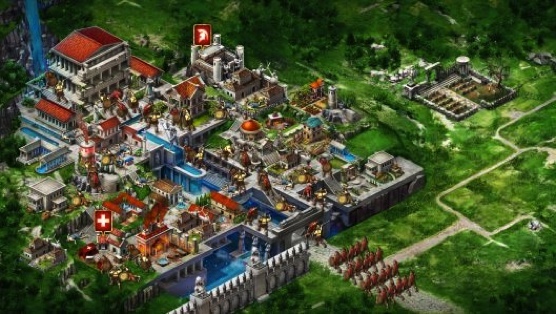 According to VentureBeat, Machine Zone has had a consistent top-five grossing multiplayer mobile game in Game of War: Fire Age for the past three years and another hit with Mobile Strike, which is currently number two on iOS in the U.S.
And yes, Machine Zone's work is the very epitome of mobile gaming. But as Square Enix's recent financial results suggest, the company is really aching for a mobile hit. The prestige of Final Fantasy X, coupled with the talent of Machine Zone for commercialising this space, might just produce that game. Kitfox Games has announced an expansion pack, Eternal Echoes, for its title, Moon Hunters. There will be a new area, Snowland, as well as a new class, Snowdancer, which is able to use snow puppets to freeze enemies, then shatter them with an ice pick. New improvements are to include a battle arena, a new final boss, and other features such as "revive your legendary hero". Moon Hunters is available on PC and PS4; the expansion will be available for free on 21 November. The 3DS game creation tool RPG Maker Fes is due out in Japan on 24 November. The RPG Maker Fes Player will launch via the Nintendo eShop on 16 November with sample games. Publisher Kadokawa Games has released a debut trailer, introducing features such as map creation, world map creation, character creation, battles, event creation, menu options for advanced users, sharing created games with other players online, and the ability for other users to play them via the free RPG Maker Fes Player, including access to a number of games by 'Legendary Creators'. Related reading: Matt's review of the last RPG Maker. The RPG Maker's history goes all the way back to the late '80s. It has appeared on a wide range of systems over the years, including the Super Famicom, Sony PlayStation, Sega Saturn, Game Boy Color and Nintendo DS. While it is mainly aimed at enthusiast game designers, a number of RPGs have been created and published using this PC version of this software, the best known probably being Corpse Party. A western launch seems unlikely; we will keep an eye on any further developments though.